It’s not uncommon for your teeth to lose their sparkle over the years. The foods we eat, beverages we drink, and lifestyle choices we make can also speed the process up, and all of a sudden you might find yourself feeling self-conscious about the appearance of your smile. 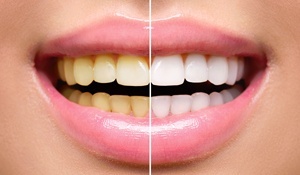 The good news is that whitening your teeth is a quick and effective way to restore brightness to your smile and at Boyles General Dentistry & Implant Center we offer convenient and affordable options for teeth whitening in Midland, TX. We understand that our patients have busy schedules and hectic lives. If you have a big event like a wedding, class or family reunion, or vacation coming up, you may need quick results. At Boyles General Dentistry & Implant Center, we are happy to offer in-office treatment with Zoom! Whitening that will brighten your smile six to ten shades during one short appointment so you can enjoy a whiter smile right away. We start by placing a protective barrier around your soft tissues and gums. Then we apply Zoom!’s high strength whitening gel that is activated with a special light. Whitening wraps up with a fluoride treatment that helps to reduce sensitivity, and then you will leave our office with immediate results. If you would prefer to whiten your teeth at your leisure in the comfort of your home, then take-home whitening trays are the ideal option for you. 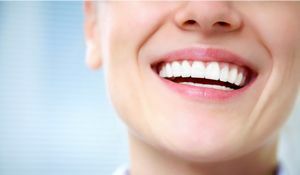 We will use impressions we take of your teeth to create custom whitening trays that provide a safe and secure fit that guards against excess whitening gel touching your gums. Most patients achieve their desired result after two weeks of whitening their teeth; and take-home trays allow you to update your smile whenever you like in the future since you can purchase additional whitening gel at our office. Professional whitening offers customized options designed to protect your soft tissues while achieving the best results instead of the one-size-fits-all choices you find at the store. Your cosmetic dentist uses higher strength whitening products that tend to be more effective than what is available at the grocery store. This ensures that you achieve the results you want quickly. Your dentist is able to assist with issues such as tooth sensitivity during whitening if they arise. Your brighter smile is just a phone call away! If you’re considering options for whitening your teeth, we encourage you to contact your team at Boyles General Dentistry & Implant Center at 432-231-0441 to learn more about how we can help you.